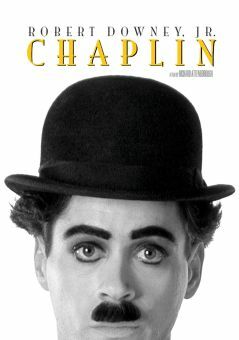 Charlie Chaplin's third film in his First National contract is a simple story of country life, an idyll, which contains two separate dream sequences, a characteristic Chaplin story device. Charlie is a farm hand and general factotum at a combination farm, general store and hotel. His boss, Tom Wilson, drives him hard, waking him early to prepare breakfast while he sleeps in. Charlie has devised some labor-saving techniques, such as sitting a chicken on the frying pan so she can lay an egg in it, or milking the cow directly into the coffee cups. After Sunday breakfast, the boss goes off to church along with most of the town, while Charlie must tend to the cows. Charlie, reading the Bible, loses the herd as they stroll peacefully up a country road. He finds them in town and must shoo them out of various buildings. When the whole parish comes running out of the church, Charlie enters heroically and comes out riding the bull, which eventually dumps him in a stream below a wooden bridge. Unconscious, Charlie dreams of dancing through the meadows with four lovely wood nymphs, in a scene of balletic grace and humor. Awakened at the bottom of the stream, he's pulled out by four men including his boss, who kicks him all the way home. Sunday afternoon is Charlie's time for visiting his girl, Edna Purviance, bringing her flowers and a ring. Their romantic tryst is hampered by her mischievous teenage brother, until Charlie sends him out to play blindman's bluff in traffic. Then Edna's father (Henry Bergman) interrupts their musical interlude at the pump organ, ordering Charlie away. Back at the store/hotel Charlie is again scolded for being late. A traffic accident outside brings a new visitor, a "city slicker" who is injured and must stay at the hotel. He's attended to by a horse doctor and shown to his room by Charlie, who later sits down to rest. Later, the slicker is preparing to leave when Edna enters the store and attracts the handsome visitor who follows her out of the store. 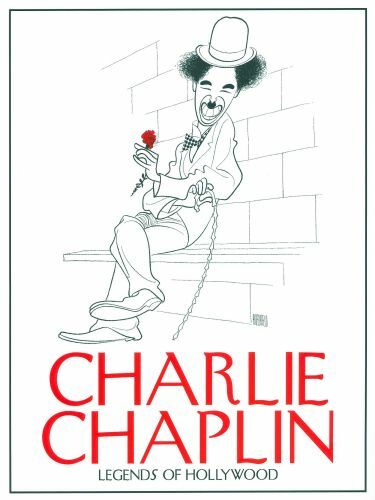 Worried by the competition, Charlie eventually arrives at Edna's, observing through a window his rival's fashionable ways -- the spats on his shoes, the handkerchief up his sleeve and the cigarette lighter in the handle of his walking stick. Seeing that he's losing Edna, Charlie returns home and tries to emulate his rival by putting old socks over the tops of his shoes and rigging a match to the end of a stick. When he visits Edna she rejects him, giving back his ring. Despondent, Charlie walks out to the street and stands in the way of an approaching car. The impact he feels, however, is from the boot of his boss as he awakens Charlie from his second reverie. The guest is really leaving this time, and when Edna enters the store, she gives the slicker's advances the cold shoulder as Charlie proclaims his devotion to her. He helps the slicker load his baggage into the car and receives a tip. Charlie and Edna celebrate his departure with a loving hug, as the camera irises in.